Shantou is a seaport with 5,4 million inhabitants in the province of Guangdong, People’s Republic of China, and a Special Economic Zone since 1980. The five Special Economic Zones – Shenzhen, Zhuhai, Xiamen and Shantou cities and Hainan Province – represent the most progressive policy for reform and trade. In spite of this special status, Shantou, originally by far the biggest and most prosperous of the Special Economic Zone cities, has been struggling to match the rapid growth of the other four Special Economic Zones. 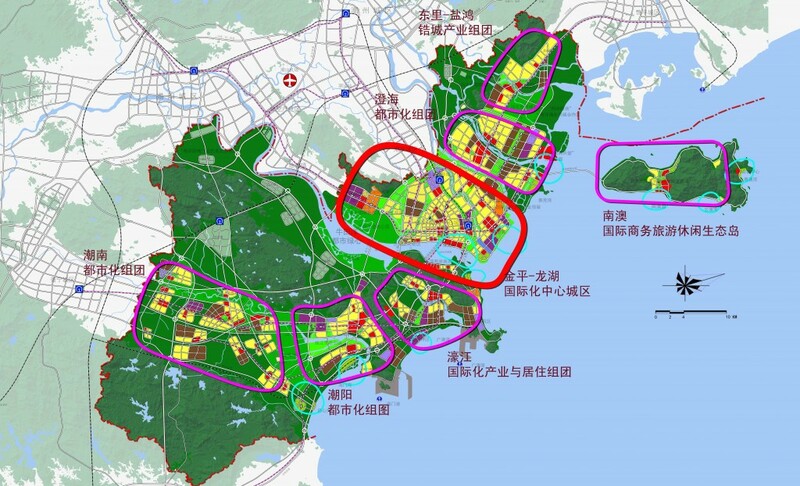 The Institute of Urban Planning and Design of Nanjing University and the Shantou Urban and Rural Planning Bureau have jointly written the Shantou Strategic Development Plan. This well-received new strategy, which followed extensive public consultation, creates a fresh solution based on the self-organizational character of the city, the people and its culture. It reveals and respects the indigenous fabric of local space, culture, society and economy that contributes to the transformation of Shantou into a ‘Coastal Metropolitan Garden City’. On top of this, the strategy creates a new vision able to integrate desirable and often conflicting aspirations such as better and faster development. In Shantou, planning practice is being reshaped through new thinking and new planning approaches. Shantou was one of the first ports of China that in the early 20th century was opened for trade with European countries and the United States of America. The city of Shantou housed embassies from many trading countries. Historically, the inhabitants of the Shantou region, Chao-Shan-Jie region, in short the Chaoshan region, have an outward-looking character. At present, more than half of the estimated number of 30 million Chaoshanese live outside the region or abroad, particularly in Southeast Asia, Europe and the Americas, and have family ties with the home city. This means that the inhabitants of Shantou have an open-minded approach to new ideas and foreign influences. The Chaoshan region has three major cities; Chaozhou with 2,7 million inhabitants, Jieyang with 5,9 million inhabitants and Shantou with 5,4 million inhabitants. Shantou is by Chinese standards not a very big city. 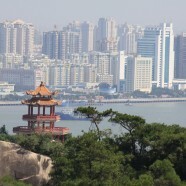 The city has grown in the last decades like many other Chinese cities, but has not exploded like Shenzhen or Guangzhou. Most of the old town of Shantou is still intact. This means that Shantou’s historical identity has not been swept away by modern apartment buildings. Although Shantou’s main business is its harbour and the toy and textile industries, it is not a very dominant port or industrial city. There are plans for more than one CBD, but without a decent public transport system it is wishful thinking. 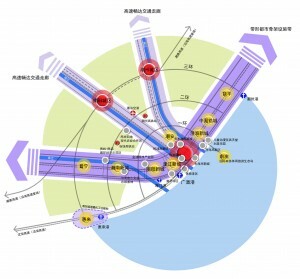 Like every other Chinese city, Shantou has an urban planning exhibition centre with an enormous city model, a multimedia presentation, floors with more detailed models and an impressive wall display arising from contemporary urban planning competi­tions for several prime and future developments in Shantou. Compared with other Chinese cities, Shantou is an authentic city. Comfortably situated on an enclosed bay and on the border of the subtropics and the tropics, Shantou has a natural setting and superb climate that matches resort cities in other parts of the world. The combination of three rivers, green hills, islands and wetlands provide Shantou with a highly interesting setting and scenery. Shantou is now at a crossroads, a point at which important decisions must be made. Instead of focussing on attracting more industries, Shantou could focus on additional sectors such as tourism, high-tech agriculture and higher education. Moreover, it has the potential of becoming a healthy and attractive alternative to the heavily polluted cities in mainland China. This new identity could attract families and pensioners towards Shantou. In many ways, Shantou is a complete and vibrant city. The busy Shantou Bay with its many ships sailing to and fro connects the present city with its past. 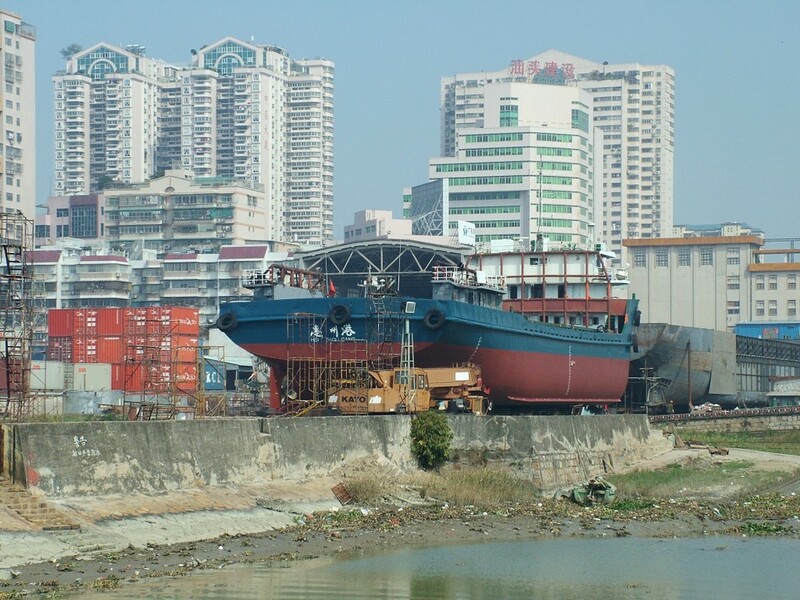 The waterfront offers opportunities for both traditional shipping activities and leisure. The green hills opposite Shantou Bay connect the city with a natural park. The grid structure with broad boulevards has the capacity for a light rail network. Shantou has all the necessary elements to become an important ‘Coastal Metropolitan Garden City’ as is suggested in the Shantou Strategic Development Plan. 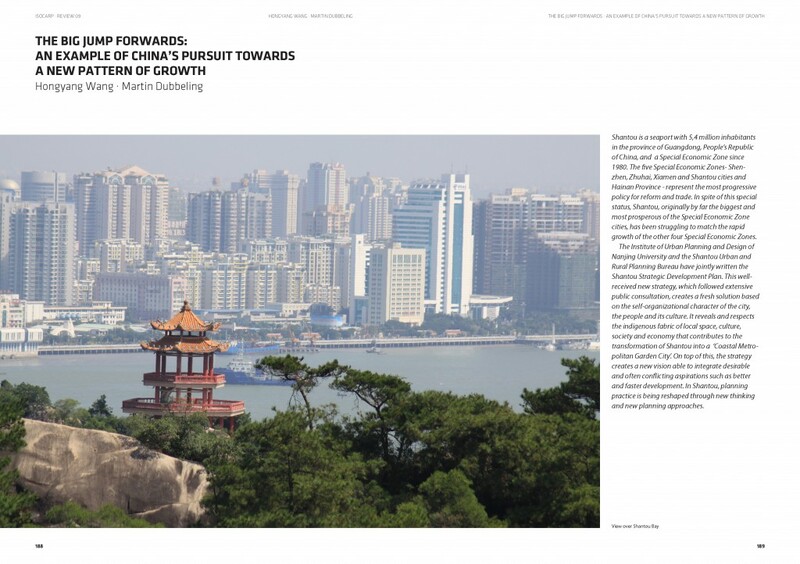 The article ‘Towards low carbon cities’ by Hongyang Wang and Martin Dubbeling is published in the ISOCARP Review 09 Frontiers Of Planning, Visionary Futures for Human Settlements, ISOCARP, page 188-199.